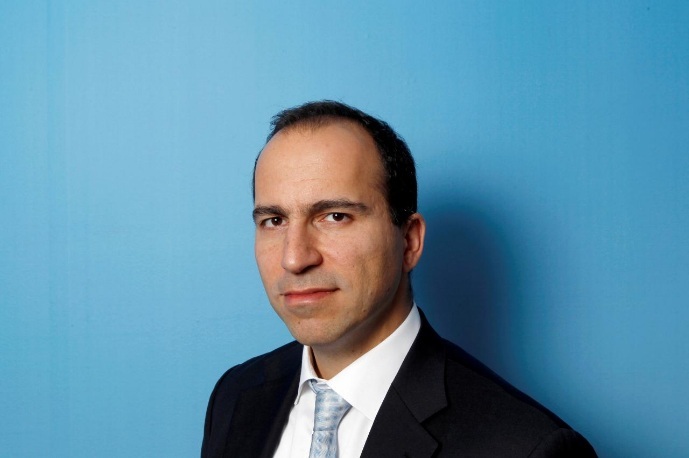 SAN FRANCISCO - Uber Technologies Inc officially welcomed its new Chief Executive Dara Khosrowshahi, who has led online travel business Expedia Inc for 12 years, in a note sent to employees of the world’s biggest ride-services company late on Tuesday. The board had already selected Khosrowshahi as Uber’s next CEO in a vote on Sunday, two sources told Reuters. But the firm and its board had not spoken publicly on the decision until Tuesday evening Pacific Time, as contract negotiations were ongoing. Khosrowshahi’s appointment comes at a time when Uber is trying to recover from a series of crises that culminated in the ouster of its former CEO Travis Kalanick in June. It is also a key step toward filling a gaping hole in its top management which at the moment has no chief financial officer, head of engineering or general counsel. “The board and the executive leadership team are confident that Dara is the best person to lead Uber into the future,” Uber’s eight-member board wrote in an email to employees that was also made public. “This has been one of the toughest decisions of my life,” he said in his email. Over his tenure, Khosrowshahi built Expedia into the largest online travel agency by bookings and its stock price grew more than six-fold since he became CEO in 2005. He will join San Francisco-based Uber’s all-hands staff meeting Wednesday to take questions from employees, board members said in their email. He will also over the next few weeks meet with employees around the world and with drivers. Khosrowshahi, 48, is an Iranian immigrant who came to the United States with his parents in 1978 during the Iranian Revolution. He is described by those who know him as a friendly and steady hand, savvy businessman and calming influence in situations of chaos. And chaos certainly awaits him at Uber. He inherits at Uber a high-stakes lawsuit filed by Alphabet Inc’s Waymo that threatens Uber’s self-driving car business, a board divided by one investor’s lawsuit against Kalanick, and an organization struggling to overcome allegations of sexual harassment and executive misconduct. On Tuesday, Uber said it was cooperating with a preliminary investigation led by the U.S. Department of Justice into possible violations of bribery laws. Kalanick, who remains on the Uber board and was involved in hiring Khosrowshahi, welcomed his replacement. “Casting a vote for the next chief executive of Uber was a big moment for me and I couldn’t be happier to pass the torch to such an inspiring leader,” Kalanick said in a statement.